I'm sure many of you cringe when you see a huge mold seam in the middle of some model tires. It is especially visible on racing tires and slicks. 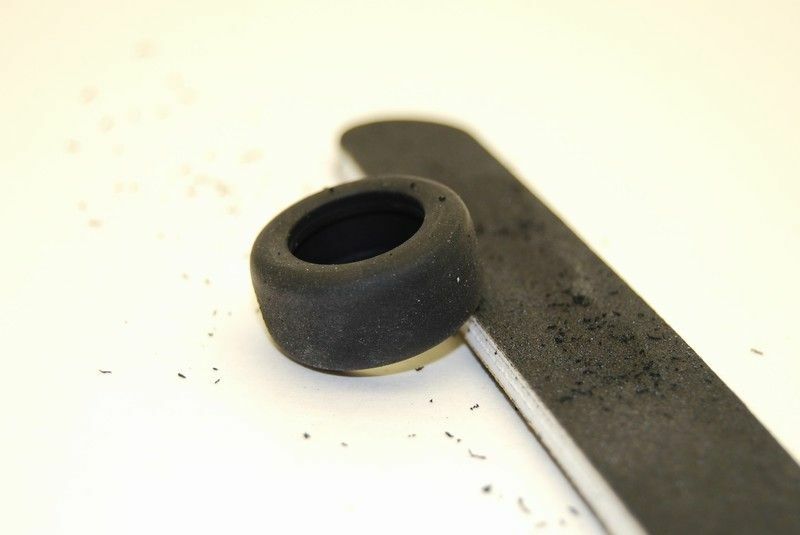 Putting a tire like this on a model will look bad, and removing the seam using sandpaper is rather awkward and time consuming. Moreover, the sanding will never look uniform. When I was building one of my latest projects, I came up with a simple way to quickly and effectively remove the mold seam, or scuff the tires for that "as raced" look. The technique is rather simple, but you will need some simple supplies. 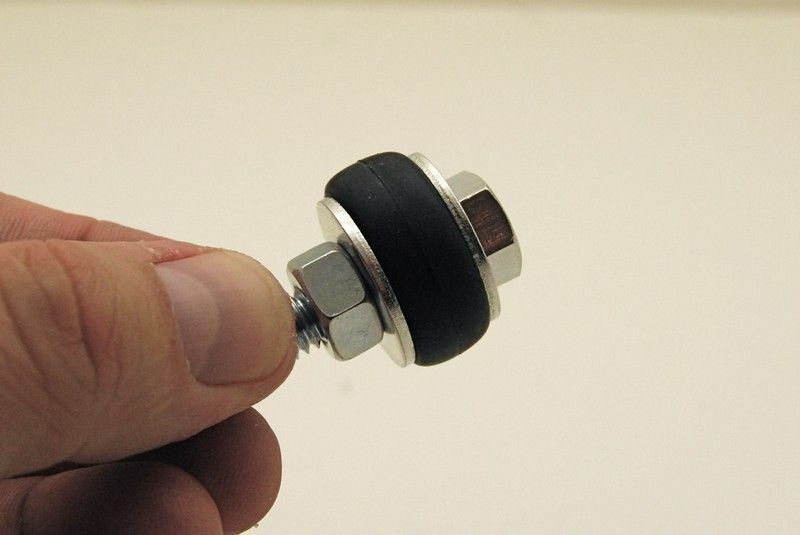 You will need a suitable diameter bolt, and a nut that fits it, and two appropriate diameter washers. 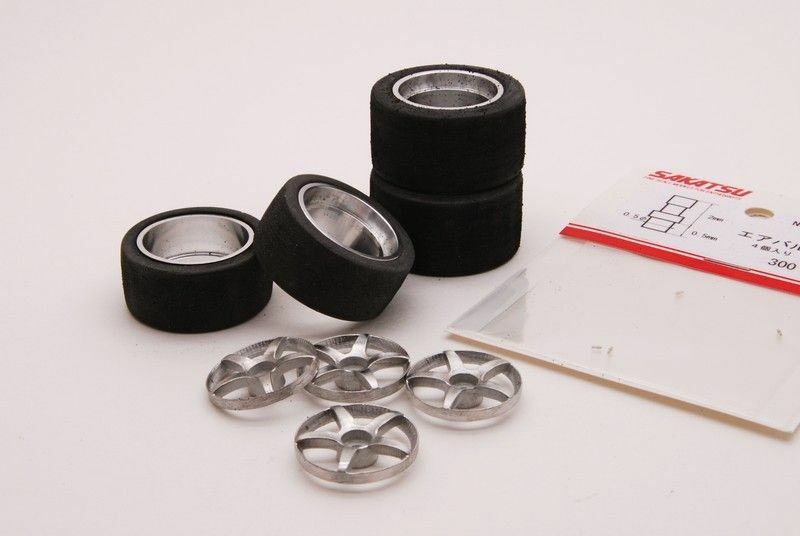 Different size tires will require different washers. All this cost me a whopping $0.34 cents at local home improvement center. 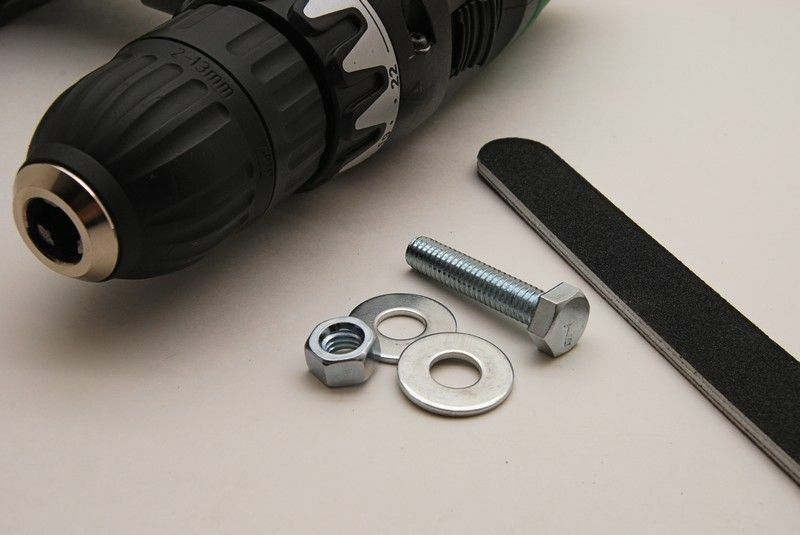 You will also need a motor tool or an electric screwdriver, and coarse/fine sanding boards. The pictures are pretty much self-explanatory - clamp the tire between the washers as shown in the picture, make sure it is clamped tight and centered. Then clamp the entire assembly into a motor tool or drill, make sure it securely clamped and won't fly off when spinning. Then take your sanding board, and start sanding. 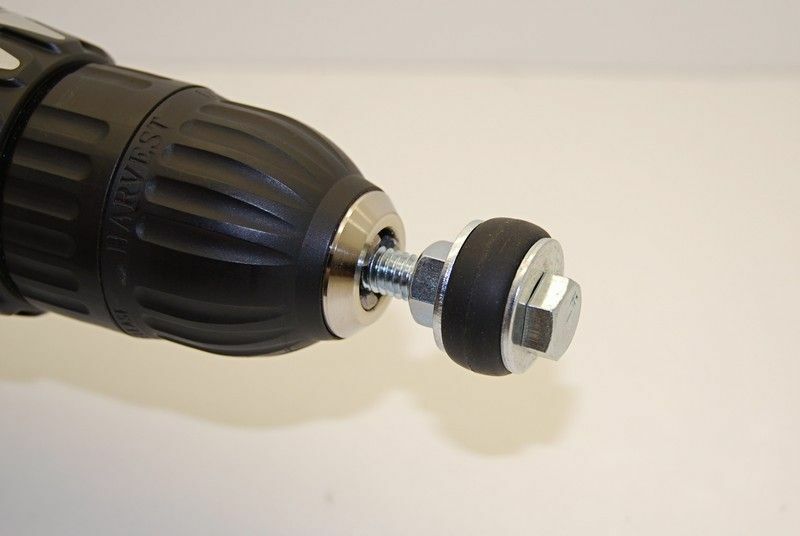 The faster you spin the rotary tool, the faster the tire will be sanded smooth. If you want a more rough looking surface, use coarser sanding board. This method effectively removes mold seams, and makes tires look realistic, as if they were used/raced. It can also be used on road tires to make thread look a bit worn. 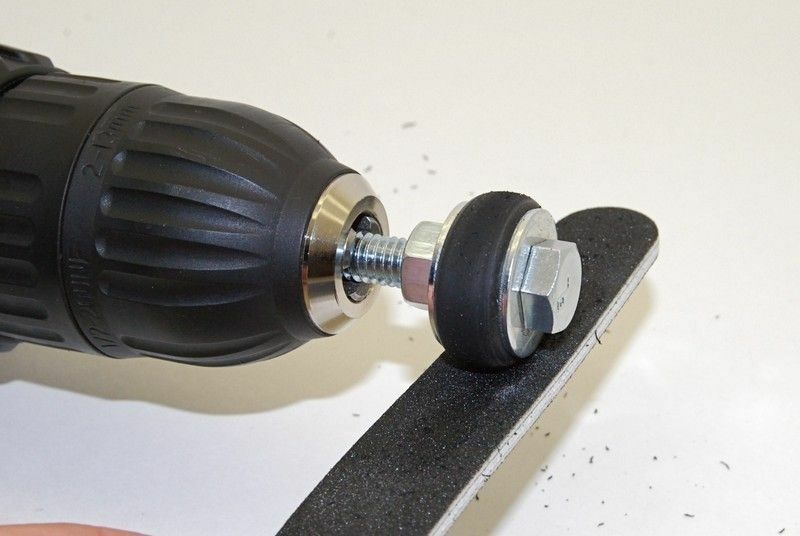 Just use fine sanding board and don't scuff the tire too much. This is how the tire looks after being sanded for 20 seconds - you can do a set of four in less than 5 minutes! No more awkward sanding with sandpaper! 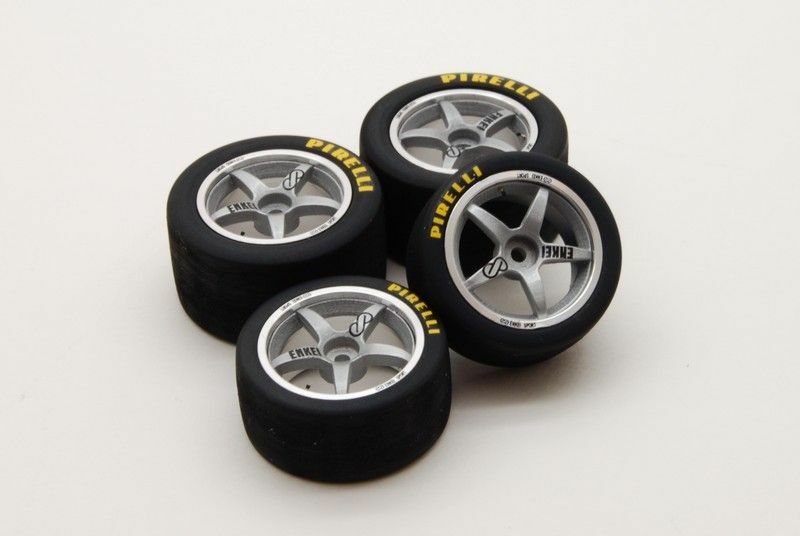 After you sanded the tires and got rid of that ugly mold seam, you can mount the tires on the rims, and further detail them - they will look great on your model now.